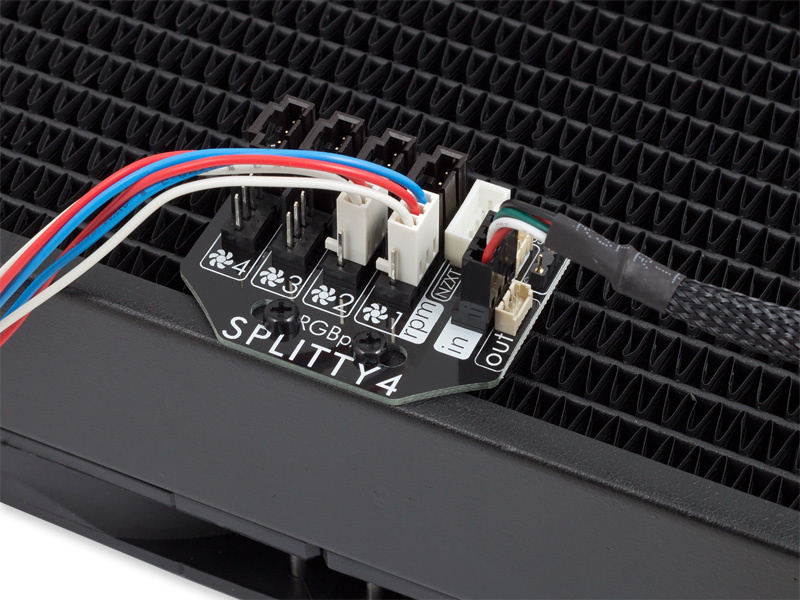 Splitter for fan power supply and RGBpx illumination control. 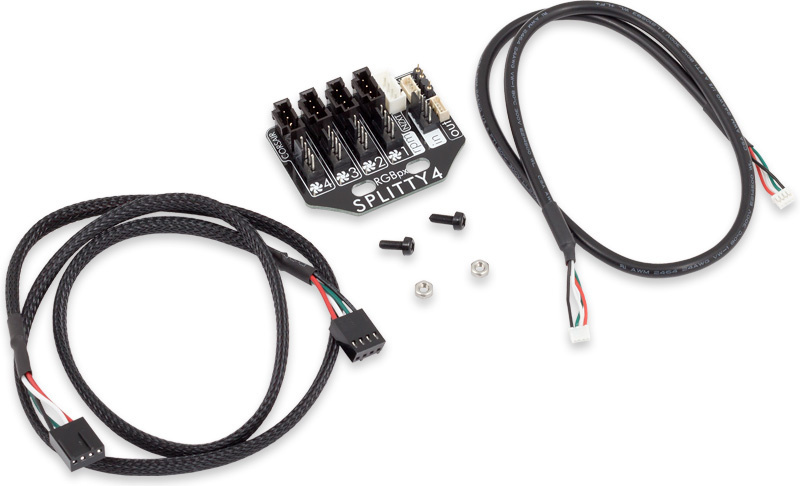 - Quadruple fan splitter to supply up to four fans from a single fan connector. - Adapter for LED illumination systems of multiple fan types to the RGBpx system. 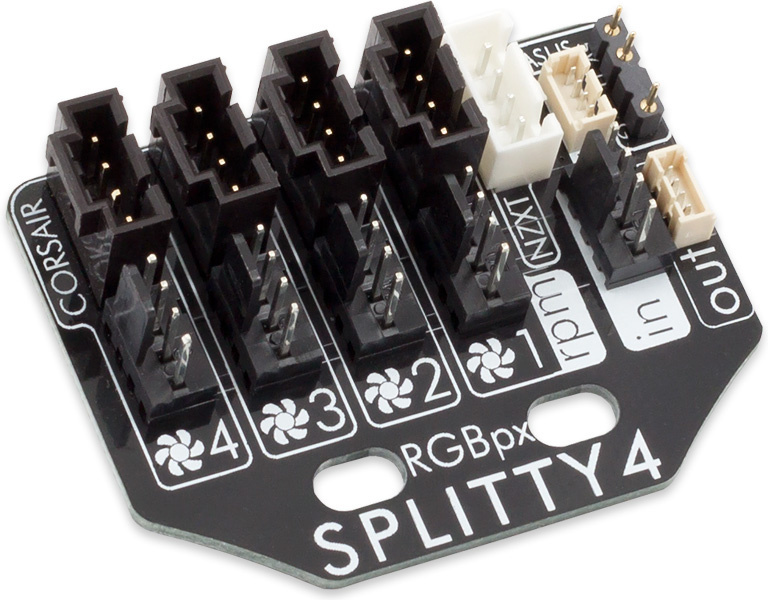 Both functions can be used independently, RGBpx Splitty4 can be used as a "simple" fan splitter or solely as an adapter for LED lighting systems. The fan splitter function can be used either for 3 pin fans or for 4 pin PWM fans, provided that the connected fan controller supports each fan type (voltage controlled/PWM controlled). 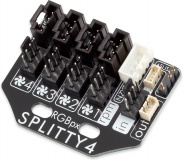 The speed signal of one connected fan (connector marking "rpm") is forwarded back to the fan controller. 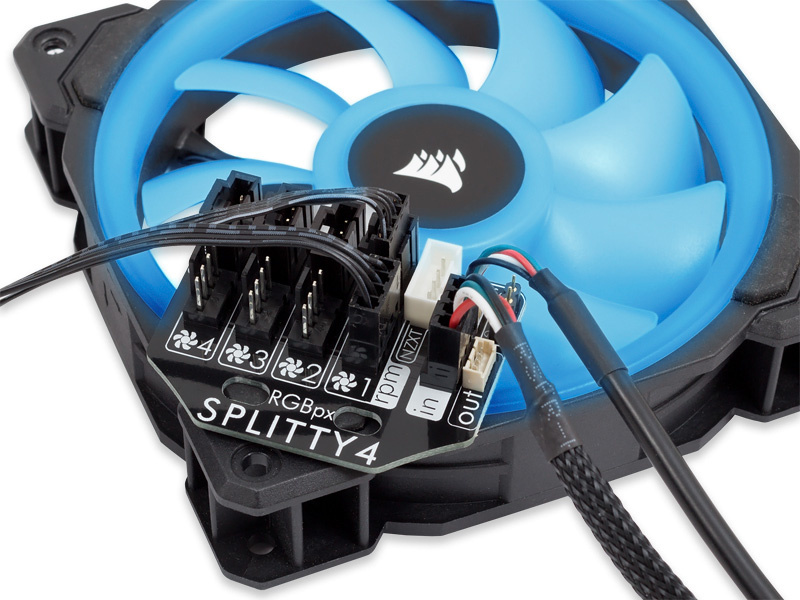 The board can conveniently be attached to two adjacent fans and thereby enable a very clean cable arrangement without the usual tangle. - Simultaneous connection of both lighting systems is not possible!